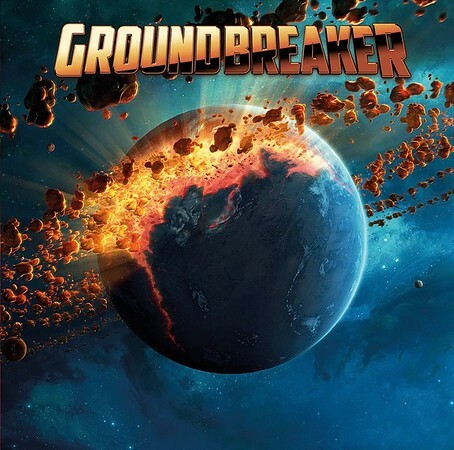 Groundbreaker is a new melodic rock project that features F.M. vocalist Steve Overland and Work of Art / W.E.T. guitarist Robert Säll. Their self-titled debut album was released through Frontiers Records on 14th September. If you’re a melodic rock fan this is definitely an album you’ll need to check out as it combines the talents of two of the genres biggest names from England and Sweden. I’ve included three tracks from the album on the Friday NI Rocks Show so far – “Over My Shoulder” on 29th June, “Something Worth Fight For” on 17th August and “Will It Make You Love Me” on 21st September. Robert Säll was a founding member of Work of Art in 1992 but it was 2008 before the band’s first album was released. That same year he joined forces with Erik Mårtensson and Jeff Scott Soto to form the band W.E.T. Joining Overland and Säll on the album are Nalley Påhlsson on bass amd Herman Furin on drums as well as Alessandro Del Vecchio on keyboards. The latter also produced the album.